Starring in a big budget film as a child actor doesn't guarantee further success – just ask Macaulay Culkin or the kid who played Anakin Skywalker in The Phantom Menace. Well, you could try asking them, but you have to find them first. In 2001, at the age of eleven, Daniel Radcliffe got the lead in Harry Potter and the Philosopher's Stone, a role he continued to play for the next ten years, making him pretty much a household name. Since then, he's been pretty bold with his post-Potter roles, with darker fair like The Woman in Black and Kill Your Darlings. But just to reinforce his acting credentials, he also took to the stage to reveal himself, in all his glory, in the demanding Equus. 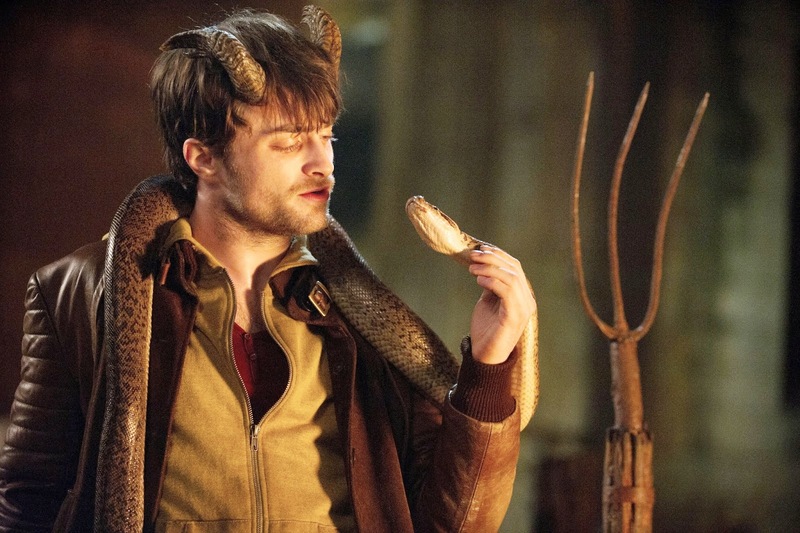 In a sense, Horns sees Radcliffe return to the realms of fantasy in his latest role, for what he probably considered one hell of a part. Daniel Radcliff grows a pair for his latest film. After dating Merrin (Juno Temple) for a number of years, Ig (Radcliffe) decides the time is right to propose. Unfortunately for him, she doesn't agree and not only turns him down, but also decides to call their relationship off. Ig doesn't exactly take this news well and hits various bottles hard. The next day he learns that the love of his life is now dead – and he's the main suspect. Although he doesn't remember much about the night before he's fairly sure he didn't kill her, but he's in the minority. His rage subsides briefly when he wakes up with two lumps on each side of his head. These lumps soon develop into something more visible: horns. They may be unsightly, but he soon discovers they have their use; after conversing with a number of folk in the small town, he realises that they can't help but speak the truth to him. With this in mind, he decides that the horns could come in handy when it comes to tracking down the person responsible for his ex’s murder. And everyone thought I was just acting as a wizard, but we know different, don't we Rupert? Horns is a curious beast. At its heart it's a whodunit, dressed up with - it has to be said - a silly fantasy element. 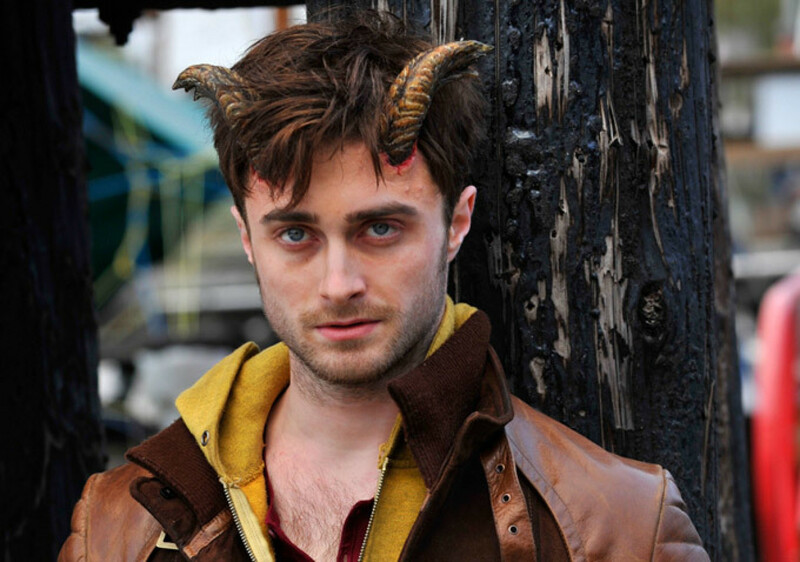 There's no real indication why Radcliffe's character actually grows horns, except for the fact that he's upset and angry that his girlfriend is dead. Surely if he was really distraught he'd have grown a tail too? Although French director Alexandre Aja plays around with good and evil themes, he doesn't really get a grip of what he wants to say. The result is playful more than sinister. To his credit, he does well with the look and feel of the piece, with some nice camera work thrown in for good measure, but it does feel like he's punching above his weight a tad, especially when you consider his last film was the not-so-classic Piranha 3D. It does have one surprise though: Heather Graham in yet another really minor role. Well, at least she's still working, unlike Culkin and the Skywalker kid. As far as Radcliffe is concerned, it seems he's still in a period of transition; he's done well to shake off the Potter character, and now he appears to be working out what kind of roles he wants and, more importantly, what kind of actor he wants to be from hereon in. He's got a built-in audience from his spellcasting days, but that's not to say they'll stick by him forever. What he does have in his favour however is a real talent, which should hold him in good stead for the future. It's obvious that he was attracted by the quirkiness of this project, it's just a shame that the end product lacks a coherent story and that little bit of magic.